Pictured below are program cards with a variety of art. 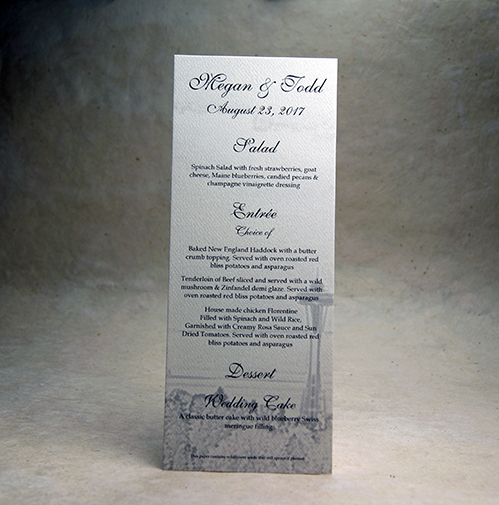 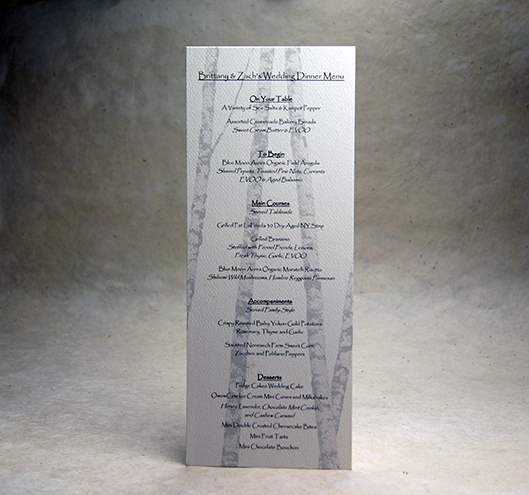 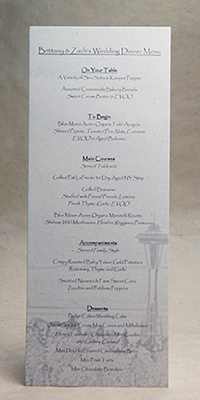 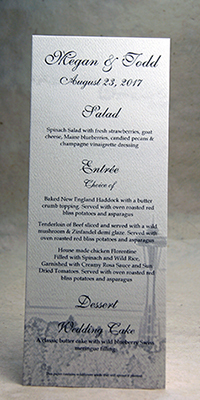 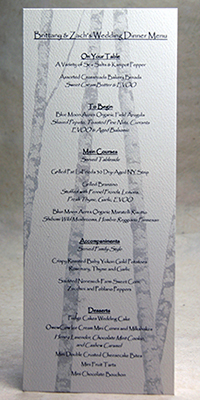 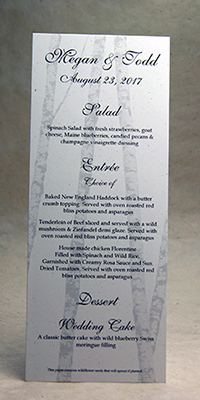 These cards are also perfect for menus for your event dinner. 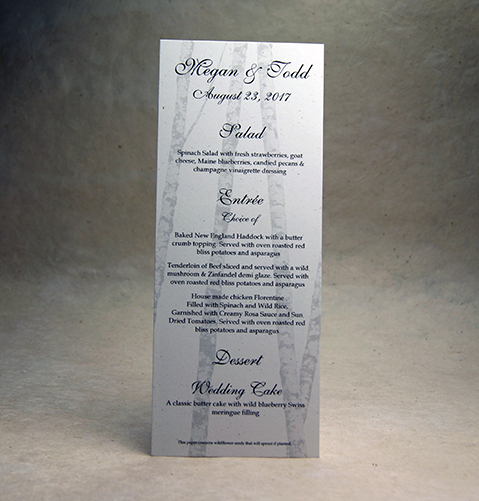 We offer them on recycled white cardstock and a cream textured felt paper, both 100% recycled.